Dr. Patrick Matsikenyiri has been honored by The Hymn Society in the United States and Canada (THS) at its annual conference in St. Louis, Missouri, July 18, 2018, by being named a Fellow of The Hymn Society. This award, the highest honor given by the organization, was conferred because of Matsikenyiri’s work as a professor, director of choirs, organizer of church music events, compiler of hymns, and advocate for the inclusion of global hymnody throughout the world. Born in Biriiri, Zimbabwe in 1937, Matsikenyiri served as the Conference Music Director for the United Methodist Church in Zimbabwe (1968-1990). Upon completing his studies in music from Shenandoah University, he returned to his home country in 1993 to head the music department of the newly opened Africa University, founded in 1991. As Lecturer in Music in Faculty of Humanities he developed a four-year music major. Matsikenyiri gained international recognition for his work with the World Council of Churches and the United Methodist Church in the United States. 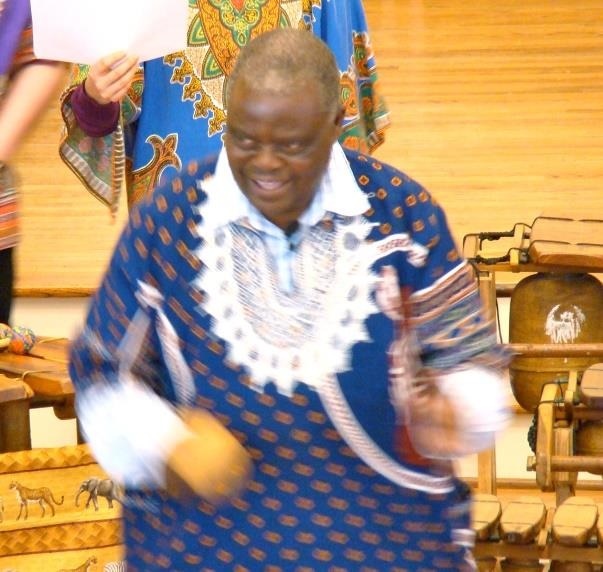 A founding member of the Global Praise Working Group of the General Board of Global Ministries of the United Methodist Church in the early 1990s, his influence was felt throughout their many broader global song collections, but specifically in the Africa Praise Songbook (1998) complete with a CD prepared by the Africa University Choir and Njalo (2006). He also contributed songs to the three volumes of Global Praise. With Maggie Hamilton, he edited Sing! Imba! Hlabela! Zimbabwe: Short Songs and New Compositions from Zimbabwean Churches (1998) in the UK. Most recently he published Njalo (Always): A Collection of 16 Hymns in the African Tradition (Nashville Tennessee: Abingdon Press, 2006) with Daniel Damon, FHS. He is the first person from the African continent to receive the honor for Fellow of THS. Founded in 1922, The Hymn Society in the United States and Canada is an ecumenical organization of people who are passionate about hymns and congregational song. We recognize the importance of the people’s song in worship and want to assure its vitality in the future. The Hymn Society community, open to all, is made up of scholars, church musicians, poets, composers, choir directors, choir members, clergy, worship planners, song leaders, music publishers, music educators, and people who love to sing. We believe that the holy act of singing together shapes faith, heals brokenness, transforms lives, and renews peace. Our mission, therefore, is to encourage, promote, and enliven congregational song.